BEIJING, Nov. 8 (Xinhua) -- A senior Communist Party of China (CPC) official on Thursday called on China's press circles to make steadfast, professional and innovative efforts to fully play their role in China's publicity work. 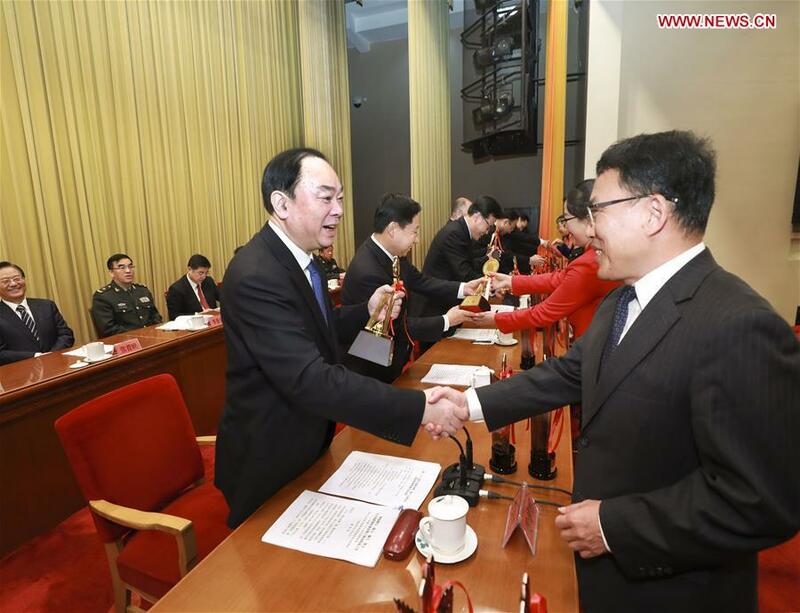 Huang Kunming, head of the Publicity Department of the CPC Central Committee, made the remarks at the award ceremony of this year's China News Award and Changjiang Taofen Award, the country's top two journalism awards, in Beijing. In his address, Huang urged journalists to improve their political integrity, cultivate their professional spirit, hone their skills and be innovative and open-minded. Huang also called on all those working in the forefront of news reporting to travel more, discover more, think more, write better and improve their writing style to make their work appeal to the common people. Thursday also marked China's 19th Journalists' Day.